If you are renovating your kitchen design, you are probably upgrading your appliances, installing new cabinets, and having custom countertops created. While all of these changes are important for successful remodeling, choosing the right backsplash brings an extra bit of personality to your kitchen design. Mirrored: If you have a small or narrow kitchen, consider having a mirrored backsplash installed. Mirrored backsplashes create the illusion of depth and space while maintaining an element of class and elegance in your kitchen design. Checkered: Choose small, one-inch tiles or larger squares for your checkered backsplash. You can go for a classic look with traditional black and white or opt for a chic and modern design with different colors. Exposed Brick: If you are experimenting with a rustic kitchen design, invest in an exposed brick style for your backsplash. This design makes your kitchen feel trendy and cozy. You can choose from traditional red brick or a warmer brown tone. Painted Subway Tile: Although subway tile is a commonly used backsplash design, choosing a non-traditional tile color reinvents the style. Most subway tile backsplashes are white or gray, but selecting a bright blue or green can make this design look fresh and unique. 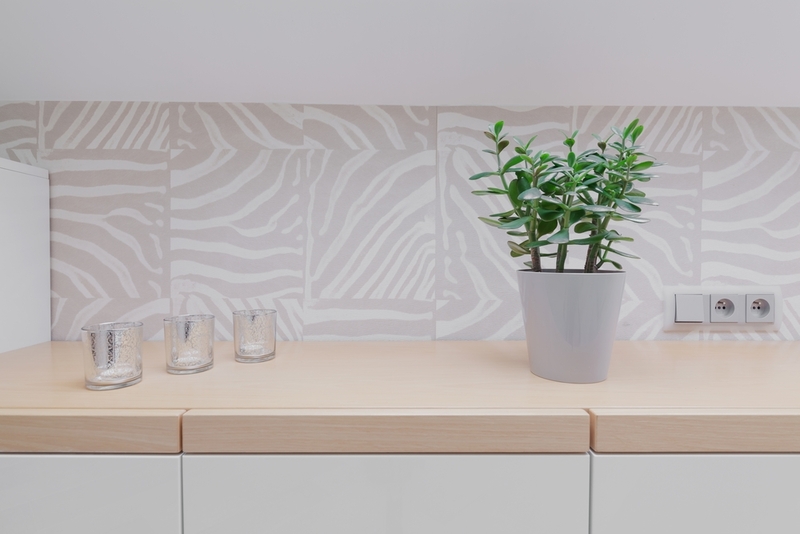 Patterned Tile: If your kitchen counter and cabinets have a simple, monochromatic design, bring your kitchen to life with a patterned tile backsplash. You can choose any pattern that suits your personality and aesthetic preference, including animal prints, flower designs, or Turkish-style patterns. If you want to upgrade your kitchen design, call Leo’s Kitchen & Stair Corp. at (860) 225-7363 to schedule a free remodeling consultation and learn more about your backsplash options. For additional information, visit their website today.